Ivan Blackstock is the co-founder and choreographer of Bird Gang. 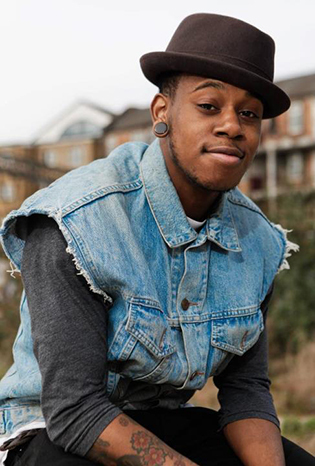 Winners of the 2012 UK Hip Hop Championships and stars of the Street Dance 3D films, Bird Gang have become highly respected within the dance community, with Ivan also becoming established as a choreographer and performer in his own right. From touring with The Pet Shop Boys, collaborating with hip hop dance legend Jonzi D and winning a Hospital Club 100 award naming him as one of the most influential and innovative people working across arts, culture and the creative industries in the UK, Ivan has a lot to be proud of. As he joins the hit show Blaze for its return at the Peacock Theatre, we catch up with Ivan to talk nerves, rehearsals and how he nearly deleted the email informing him of his Hospital Club 100 nomination. How would you describe Blaze? 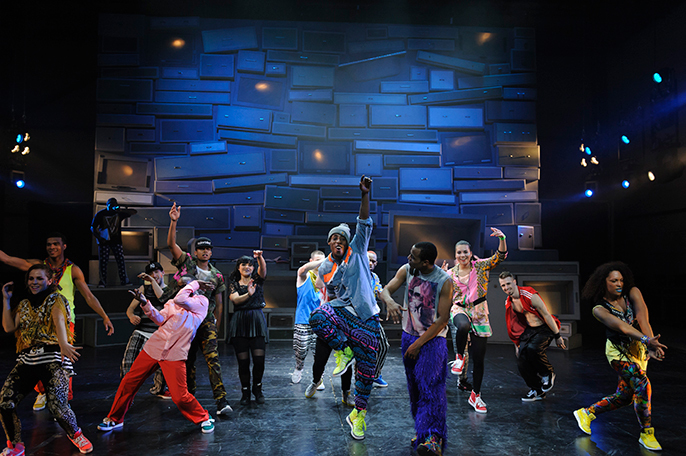 A hip hop dance extravaganza, you will be blown away by the visuals and talent. I think what’s special about Blaze is that everyone brings something different, the cast is from all different parts of the world, the US, Holland, France, Portugal so I think everyone brings their cultures and unique talents to the table. I did a bit of Instagram stalking and saw you learnt the show in five days. Is that the shortest time you’ve had to learn a show of that scale? Yeah! Blaze has been intense, especially for the newcomers of the show. We originally had four days to learn the choreography before the old cast came in, and even when the old cast cam in there were duets or trios that had to be worked out between the new and old members of the cast. But it’s been fun. I was a bit worried about my performance and my ability to deliver, but the choreographers and producers are all supportive. If anyone had any injuries, we’d be massaging each other in rehearsals. Did you see the show when it premiered in 2010? Yeah I did. I knew a lot of the original cast like Ukweli Roach from Bird Gang. How did you get involved this time round? I always wanted to do Blaze. What helped me was that Kendra Horsburgh who is an artistic director of Bird Gang is dance captain for Blaze, so I kind of got through the back door way rather than having to go through the usual rigorous audition process. You are performing alongside fellow member of BirdGang Kendra, and also Kloe who you’ve worked with before. Does it give you a boost when you’re working with dancers you know or does it not make a difference? Yeah definitely, because you get a vibe from them because you already have a relationship. Especially with people like Kendra because we know each other inside out and have a strong connection, so it definitely helps when you know each other. When you’re on stage you can vibe off each other, but to be honest I get that from everyone in the cast. Even though it’s only been a short time since I met all of the cast, everyone has got that good vibe. All you British dancers got great responses from the audience last night. The dance community in the UK is tight and supportive – do you enjoy performing on home turf more because of this? My belly was kind of rumbling with butterflies before the show because obviously it is home turf, so I feel I have to deliver and I have a strong relationship with Sadlers’ Wells as well at the moment so I didn’t want to disappoint. There were also a lot of the original cast members in the audience, but it’s always good to have friends in the audience. It does make me nervous because I have to represent the UK. When you started Bird Gang in 2005 there weren’t shows like Blaze around, and since then productions like it have evolved and become much more regular. Apart from TV talent shows, what do you think is the reason for this? I think one thing that has helped the scene over here has been Breakin’ Convention. I think it’s given a platform for young hip hop dancers to produce work in a more theatrical way. There are of course loads of showcases around where you put together one or two dance routines but not in the hip hop theatre style of Breakin’ Convention. It takes it to the next level and I think now the hip hop theatre scene is thriving with companies such as Boy Blue Entertainment to Avant Garde and hundreds more companies. You won a Hospital Club 100 award in November, putting you in the same bag as The Rolling Stones, Laura Mvula, Steve McQueen, and Idris Elba. How did that feel? To be honest when I first got the email I was thinking what is this? I was like this is junk. Obviously I knew where the Hospital Club is but I didn’t know they had awards, and then I was deleting emails and I thought hang on I’m nominated for an award. When I won, it made all the hard work make sense, all the blood and tears. Especially because last year I did so much and pushed myself to do things outside of my comfort zone so it was great to have that accolade. Has it resulted in anything new or changed anything for you? I would say in my community I have a lot more respect. There have been a lot of projects that have come up since that unfortunately I haven’t been able to commit to because of other projects. For me though I’m still in my early stages, and have a lot to prove. There are some amazing people who I look up to and want to get to their level, so I have a long way to go. You collaborated with Jonzi D on his piece Lyrikal Fearta. He is pretty much a living legend when it comes to hip hop dance theatre. Did you already have a good relationship with him or was this a new experience for you? Back in 2006 I choreographed a piece that was based around the matrix for a college project, and Jonzi D said it was cool but not quite right for Breakin’ Convention. So I said I have a company called Bird Gang, we’re not ready yet but here is an idea of what we do. He loved it and was like I need that at Breakin’ Convention even if it’s five minutes. So since then I’ve built a relationship with Jonzi. If I’m ever in trouble or need help with anything he’s the person I call so he’s kind of been my mentor. Breakin Convention isn’t far away now – have you got any plans for it? Will you be performing? Yes. Kendra will be doing a solo piece and Bird Gang will be performing. This year I decided I wouldn’t perform my own piece just because I’ve been so crazy this year. I’m choreographing a circus show at The Roundhouse in April which is great for me as I’ve always been a fan of that style of work, and I have a show in October at the Young Vic as a result of my Wild Card show at Sadler’s Wells last year.